What makes the establishment of UAE offshore companies very attractive for investors all over the globe is the pull of its taxation system and the privacy that it provides to offshore companies. If you plan on incorporating in UAE through the offshore company structure, you will be exempt from paying any corporate tax, whether on profit or any other form of capital gains. Secondly, UAE offshore companies enjoy a level of privacy and security that is maintained by the fact that Dubai has not entered into any contract regarding exchange of information with other countries, seeing that doing so would not result in any taxation profit whatsoever. Thus, going into the offshore business would give any investor the smart advantage of keeping his affairs private and secure, and away from the prying eyes of any public or private entities. Even when you choose to open a bank account, your financial undertakings will still be kept in high confidentiality, assuring you of the strictest standards in privacy and asset protection. Registered Office facility with PO Box in Dubai. Ras Al Khaimah Offshore (RAKIA) has earned its reputation as a pre-eminent commercial centre with an innovative, dynamic and entrepreneurial business culture. Strategically located at the crossroads of trade and commerce between East and West, it is ideally positioned to service and access markets that span the Middle East, Africa, the Indian subcontinent and the CIS countries. Moreover, it occupies a time zone that allows it to connect markets like the Far East and the US. To leverage this advantage, it is developing a world class infrastructure, air and port facilities, making it the most well connected hub in the region. The Jebel Ali Free Zone Authority (JAFZA) introduced regulations in 2003 for the establishment of Jebel Ali Free Zone Offshore Companies. The international business community can now establish offshore entities at JAFZA in line with other international offshore jurisdictions. Regulations were framed in a manner so as to deliver the convenience and efficiency of global offshore locations and maintain a high repute with international financial authorities. Ajman Free Zone in 2014 expanded their already thriving Free Zone to include Offshore International Company formations, often known as International Business Companies (IBC’s) location in the Emirate of Ajman – UAE. Due to the excellent operational service methods adapted by Ajman Free Zone, the offshore incorporation division, coupled with the clear documentation process and lower incorporation fees, have become a new competitive jurisdiction within the UAE. Company cannot rent local premises. There is no legal permission to carry out any business operations in UAE. Under offshore business setup visas will not be processed. 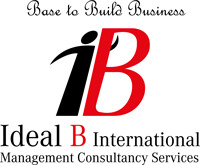 Company cannot carry on the activities like banking, insurance, consultancy, advertising etc.